DeConcini McDonald Yetwin & Lacy, P.C. today announced that Jody A. Corrales will be a guest panelist for the upcoming presentation, ”Developing a Successful Bankruptcy Center: Arizona Judges and Lawyers Share Their Stories.” The presentation is hosted by the UA James E. Rogers College of Law’s Black Law Students Association, Latino Law Student Association, and Native American Law Student Association. This panel presentation will be held Tuesday, October 16 at the UA James E. Rogers College of Law and will feature a distinguished speaker panel to include U.S. Bankruptcy Court Judges and community attorneys. Jody Corrales is a member of the Federal Bar Association – Tucson Chapter, and currently serves as a Lawyer Representative to the Ninth Circuit Judicial Conference, a role bestowed upon her by the federal judges of the District of Arizona. Corrales focuses her practice on bankruptcy and creditors’ rights. 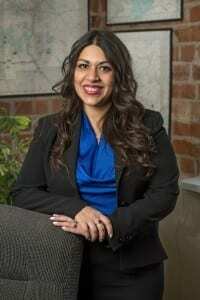 She is Board Certified in Consumer Bankruptcy Law by the American Board of Certification and is certified as a Bankruptcy Specialist by the Arizona Board of Legal specialization. DeConcini McDonald Yetwin & Lacy, P.C., founded in 1968, is one of Southern Arizona’s largest law firms. With offices in Tucson and Phoenix, the firm conducts a full service, multidisciplinary practice. Our attorneys possess the knowledge and experience to solve a wide spectrum of complex legal issues for our individual, business and governmental clients.